After entering the President’s box at Ford’s Theatre, Booth silently walked up to President Lincoln, took this gun from his pocket, and pulled the trigger. The gun John Wilkes Booth used to change American history was a .44-caliber pistol made by Henry Deringer of Philadelphia. Deringer likely did not expect the infamy that would later come with his creation. Booth chose the deringer pistol because of its size, and it was extremely lightweight. Booth could easily hide the weapon in his pocket and prevent anyone from knowing his intentions to assassinate the president. The single-bullet feature of the deringer reflected Booth’s attitude: do or die. If Booth failed to kill Lincoln in one shot, there wouldn’t be enough time for him to reload and shoot again before people reacted. There was no turning back after he entered the Presidential Box. After the assassination, the pistol was seized by the federal government as a piece of evidence for the conspirators’ trial in May and June of 1865. Eventually the War Department, today’s Department of Defense, displayed the deringer at its headquarters. In 1940, Booth's deringer and other pieces of evidence from the 1865 conspirators' trial were transferred to the National Park Service for display at Ford's Theatre National Historic Site. They first went on display in 1942, when a military tribunal for German saboteurs was taking place at the Department of Justice building nearby. Today, you can see the deringer in the Ford’s Theatre Museum —directly underneath the theatre where Booth fired the fatal shot. John Wilkes Booth used this deringer pistol to assassinate President Abraham Lincoln, changing the future of the United States. Take a closer look at the weapon here. 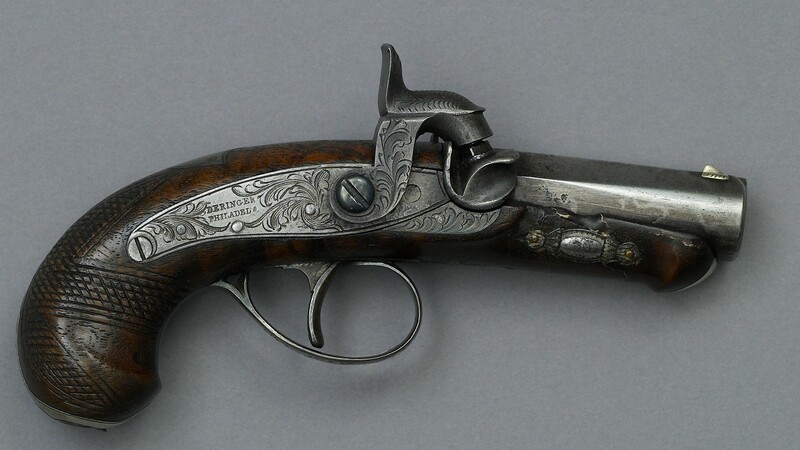 The deringer pistol was favored for its small size. 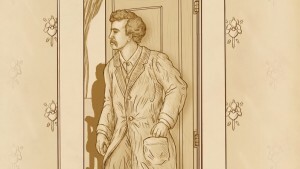 Booth was able to conceal it inside his pocket when he entered the Presidential Box at Ford's Theatre. 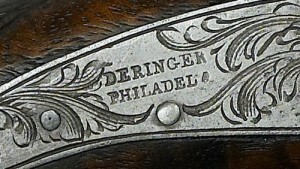 The engraving names the creator of the pistol: Henry Deringer of Philadelphia. 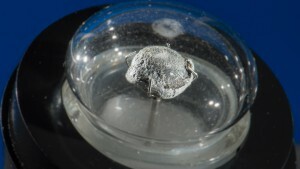 It was this tiny bullet that would impact American history. Booth fired a single, round lead ball right behind Lincoln’s head to kill him. The night of April 14, 1865, forever changed our national history. Together, Ford's Theatre Society and the National Park Service partner to protect the artifacts from that night. 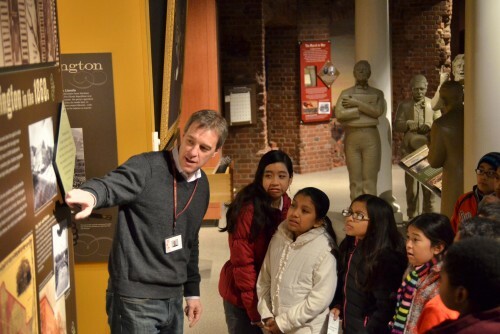 Through these objects, we can better understand how that single event transformed our nation. Give to Ford's Theatre to help continue sharing the stories that shaped a nation. 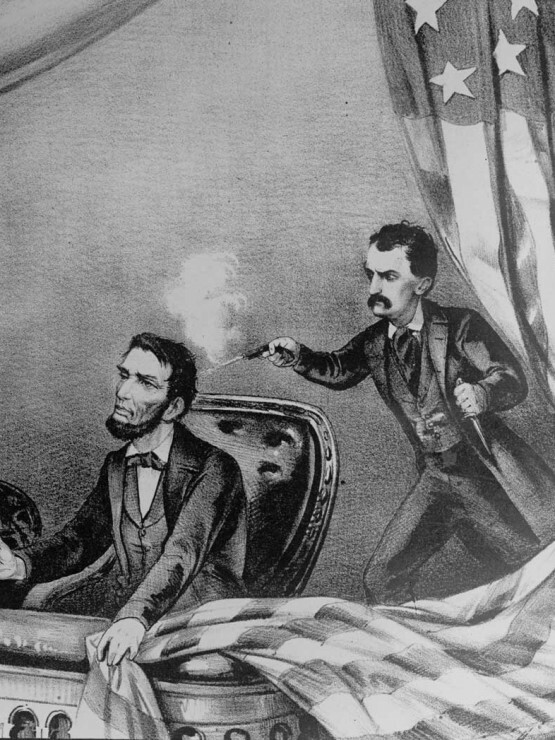 Follow the events of the night of April 14, 1865, when John Wilkes Booth assassinated President Abraham Lincoln at Ford’s Theatre. What Happened to the Deringer? After the Lincoln assassination, Booth’s gun did not return to Ford’s Theatre for 85 years. Where did it go during that time?